MATTHEW 28:9 Suddenly Jesus met them and said, “Greetings!” And they came to him, took hold of his feet, and worshiped him. 10 Then Jesus said to them, “Do not be afraid; go and tell my brothers to go to Galilee; there they will see me.” The Report of the Guard 11 While they were going, some of the guard went into the city and told the chief priests everything that had happened. 12 After the priests had assembled with the elders, they devised a plan to give a large sum of money to the soldiers, 13 telling them, “You must say, ‘His disciples came by night and stole him away while we were asleep.’ 14 If this comes to the governor’s ears, we will satisfy him and keep you out of trouble.” 15 So they took the money and did as they were directed. And this story is still told among the Jews to this day. 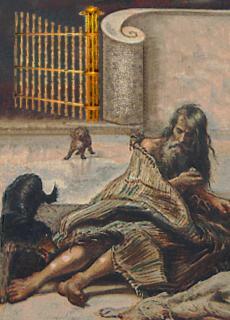 The crowd that bribed the guards with, admittedly a “large sum” of money, are the very ones who plotted to kill Lazarus after Jesus raised him from the dead. Why? Today, the polls they run, focus groups they convene would tell them that the public’s mood was with Jesus. That scared the bejeebers out of them because they assumed that Jesus would behave like they would if given the opportunity. Jesus did ride into town according to ancient prophecy. Having arrived and the crowd gathered, he did not launch into a stump speech, shamelessly pandering to the worse fears as well as hopes of his audience. I shall resist the temptation to compare this with Presidential politics, but you make your own inventory. Now….. I’m waiting….. Ok – back to the meditation already in progress. The political types, ordained or not, never understood what Jesus was about as it is simply counter-intuitive. A kingdom where all are loved, cherished and cared for, simply does not compute. Groucho Marx once said, “I never want to be in a club that would have me.” The priests and such would never be a Kingdom, of God or other, where they were not high and lived up above the ordinary. How about us? I must admit it makes me uncomfortable sometimes. How about you? I gave Peggy’s money to the girl with orange hair. She held up a bucket with a sign “cure cancer.” “Are you sure?” She was shocked at the three bills; clearly, generosity exceeded her expectations. I didn’t compound her confusion by telling her the truth; the folded paper was intended for a dog and a man who live in the street. Peggy is a black Whippet. Salt and pepper sprinkle her elegant snout. Her Dad, Keith, told me they lost their shelter when the fellow they lived with died. While my discernment of homeless economics is primitive, I suspect that put them in the street was more complicated. Neither he nor Peggy was malnourished, but autumn in York advanced toward All Hallows’ and Whippets have only fur veneer. She shivered, and he held her, arms wrapped around his best girl giving her more blanket than he could spare. I dropped a few pounds in his hand. “Get you and Peggy something to eat.”. I saw them last where Stonegate meets Saint Helen’s Square. Peggy, wearing a coat like a fashion model, was mighty sporty. “I got her a coat,” Keith grinned. He has a good smile, and only the missing upper front tooth reminds me life is hard. I set aside some pound notes for them. At twilight, Evensong sung, a solitary high C floated; releasing stacked overtones that whispered down the sound chamber of the Nave. 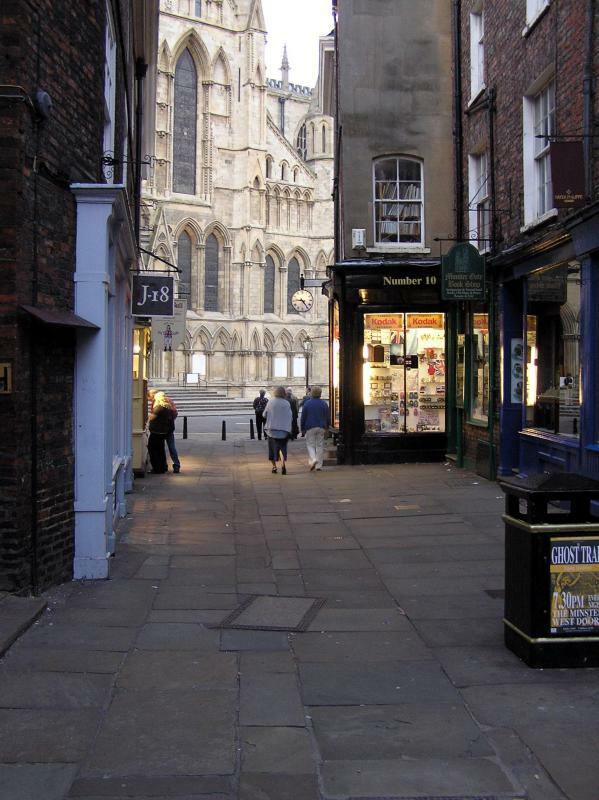 I came out the South Transept down Stonegate searching. The Shops mostly closed, patrons gone, leave shop-keepers to turn the key and turn toward home. Medieval buildings, like eccentric neighbors, leaned out, beckoning across the cobbles, straining to learn the gossip of the day’s trade past. The people lying in the gate alone seem less so in anonymous dark than when ignored by the crowds. I stopped and inquired if they had seen a man and his dog. None had. Full Night fell, and I turned back. Determined to honor them, that last day I went round again looking but found no “Peg o’ My Heart“. Time ran out. I caught the train to the plane in Manchester. Reluctantly, I gave Peggy’s money to the girl with the orange hair.